of downplaying the Sept. 11, 2001 terrorist attacks. 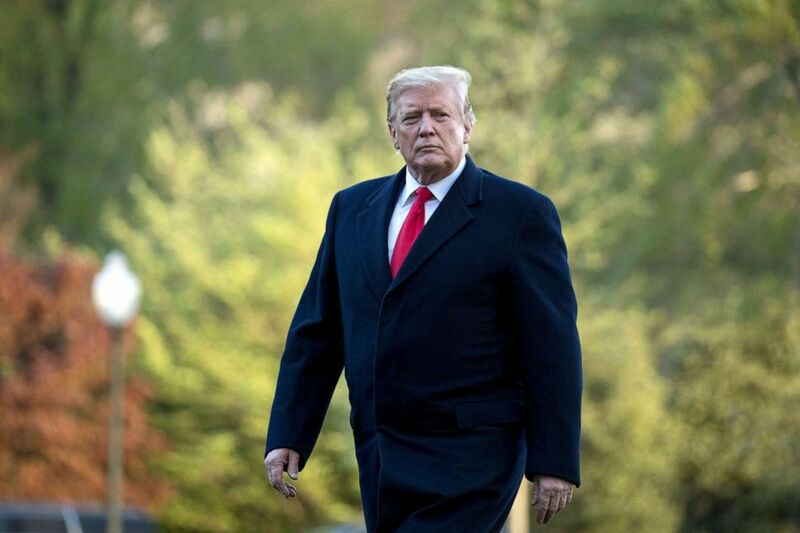 (Andrew Harnik/AP) President Donald Trump walks on the South Lawn as he arrives at the White House in Washington, April 15, 2019, after visiting Minnesota. 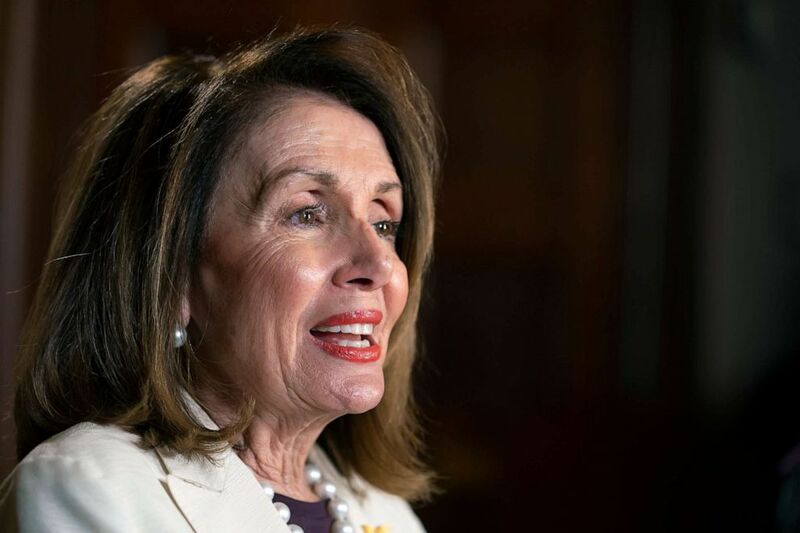 (J. Scott Applewhite/AP) Speaker of the House Nancy Pelosi, D-Calif., speaks during an interview with The Associated Press in her office at the Capitol in Washington, April 10, 2019. Fellow Democratic freshman Alexandria Ocasio-Cortez, of New York, called on Democrats to respond to Trump’s tweet and cautioned that if they were to remain silent, they would be “complicit” in Trump’s attacks. (Erin Scott/Sipa USA via AP) Congresswoman Rashida Tlaib speaks as Michael Cohen, former lawyer for President Donald Trump, testifies before the House Oversight and Reform Committee on Capitol Hill in Washington, D.C., on Feb. 27, 2019. 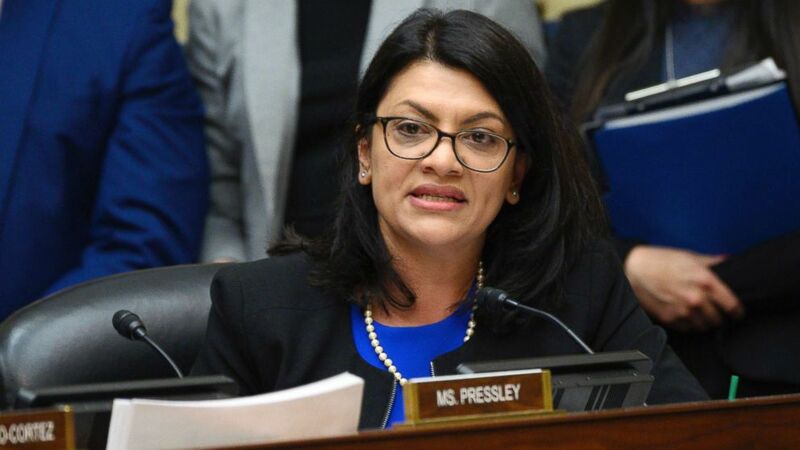 Rep. Rashida Tlaib, D-MI, who is also Muslim, expressed frustration over how Democratic leadership was handling Trump’s attacks against Omar. “They put us in photos when they want to show our party is diverse,” Tlaib tweeted over the weekend, slamming top Democrats for failing to defend Omar from Trump’s Islamophobic attacks while also insinuating their diversity is a prop for the Democratic Party. “But those are districts that are solidly Democratic. This glass of water would win with a D next to its name in those districts,” she said as she hoisted a glass of water. ABC News’ Meridith McGraw contributed to this story.